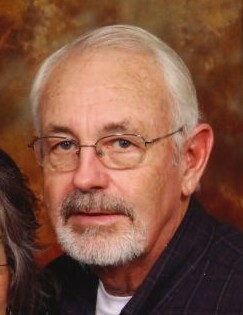 Michael Lain Miller, 76, Peru, passed away Saturday morning, in Peru. On December 6, 1942, in Peru, Indiana, he was born the son of William "Tyman" Miller, Sr. and Ruby L. Lain Miller. On March 28, 1980, in Peru, Indiana, he was married to Sandra Kercher, and she survives. Michael was a lifelong farmer in Miami County. He was a member of the Gold Wing Riders Association. He attended North Miami High School, class of 1962. Survivors include his wife, Sandy Miller, Peru; daughter, Hayley M. (Kameron) Donaldson, Peru; and their children, Kendra L. Donaldson, Keagan L. Donaldson, and Kayden L. Donaldson; one step-daughter, Heather M. (Lee) Simpson, Peru, and their children, Braxton L. Simpson, Virginia; and Morgan M. Simpson, Peru; one brother, Bill Miller, Peru; and one sister, Kaye (Bob) Backman, Florida. Also surviving is Mike's perfect dog, Kolbe. Funeral services will be held at 10:30 a.m. Thursday, March 21, 2019, at McClain Funeral Home, Denver, Indiana, with Pastor Rod Correll officiating. Burial will be in Greenlawn Cemetery, Mexico, Indiana. Visitation will be from 2-8:00 p.m. on Wednesday, at the funeral home.